This easy homemade blue cheese dressing is better than anything you can buy at the store. 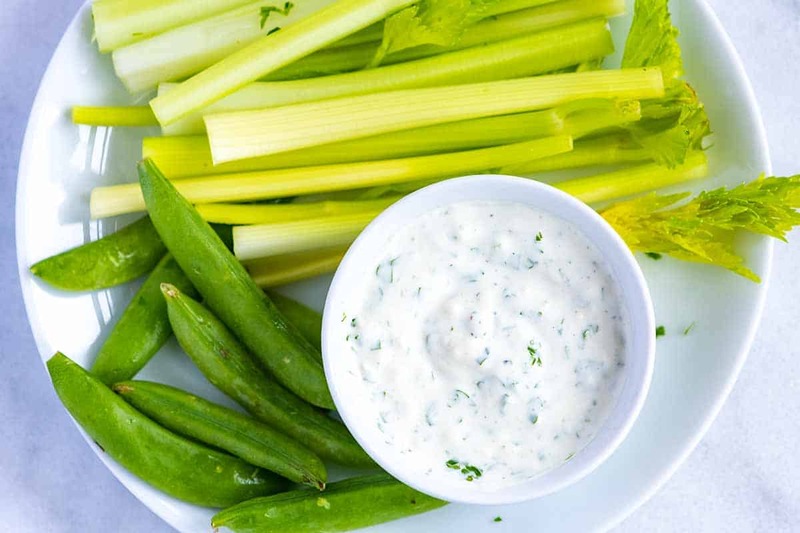 It’s extra creamy and perfect for tossing with salad or used as a dipping sauce. 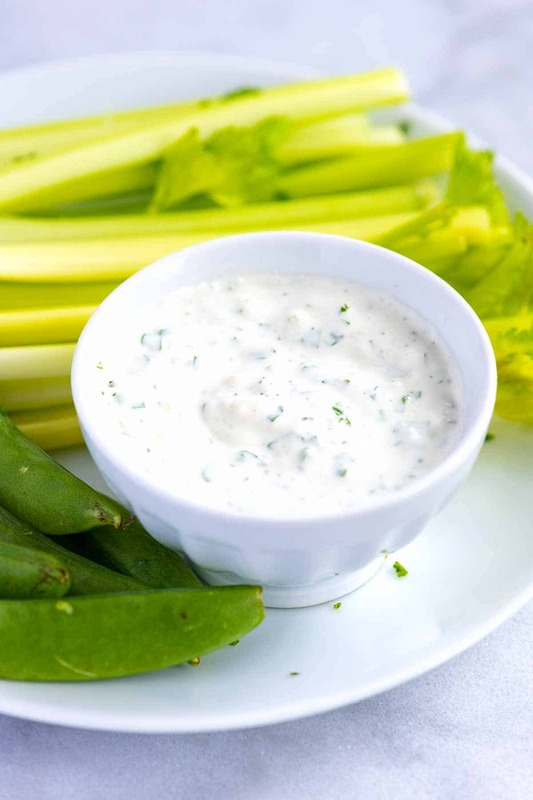 Jump to the Easy Homemade Blue Cheese Dressing Recipe or read on to see our tips for making it. Sour cream and mayonnaise — For the best blue cheese dressing, use both. A combination of sour cream and mayonnaise make the dressing extra creamy. Mayonnaise can be heavy by itself. Adding sour cream lightens up the dressing a bit. If you’re used to only using mayonnaise, try adding a bit of sour cream next time. It’s a game changer. If you’re in the mood, you can make homemade mayo, too. Here’s our no-fail mayonnaise recipe. Blue cheese — Use a blue cheese that you love. We usually go for something that isn’t too expensive and that tastes rich and creamy. Gorgonzola is a good option. Fresh parsley — We’re big fans of fresh herbs, so we add them to just about everything. Fresh parsley adds both color and flavor to the dressing. Salt and pepper — There will be some salt in the mayonnaise and cheese, but we always end up adding some additional salt to the dressing to make the flavor pop. Pepper adds some spice. Milk or water — Depending on what you plan to use the dressing for, you might consider adding a little milk or water. Without it, the dressing is thick, which makes it perfect for dipping. If you want it to be pourable like a salad dressing, a splash of milk or water is the key. 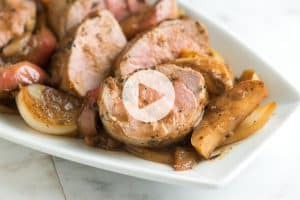 Just a few seconds of stirring turns the dressing into a creamy and delicious mixture. 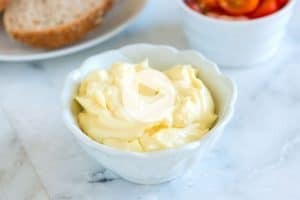 For a lighter dressing with fewer calories, you can swap the mayonnaise for light mayo and the sour cream for plain yogurt. Here’s the great news, this easy homemade dressing lasts for about a week when stored in the fridge. We love making a double batch so we can add it to salads, use a veggie dipping sauce, or spoon onto dinners throughout the week. Skip store-bought salad dressing and use it on your favorite homemade salads. It’s especially delicious with baby greens, kale, brussels sprouts, cabbage, carrots, sweet bell peppers, cauliflower, and broccoli. It’s also excellent with salads where you add fruit (like grapes, apples or pear). Swap out the traditional dressing and use this blue cheese dressing to make coleslaw. 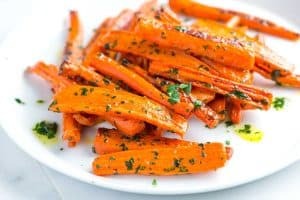 Add to a small bowl and use as a dipping sauce for fresh vegetables, roasted veggies (like these sweet potato fries), or anything buffalo flavored. We especially love these chicken wings, this buffalo chicken rice bowl, and these baked buffalo cauliflower wings. 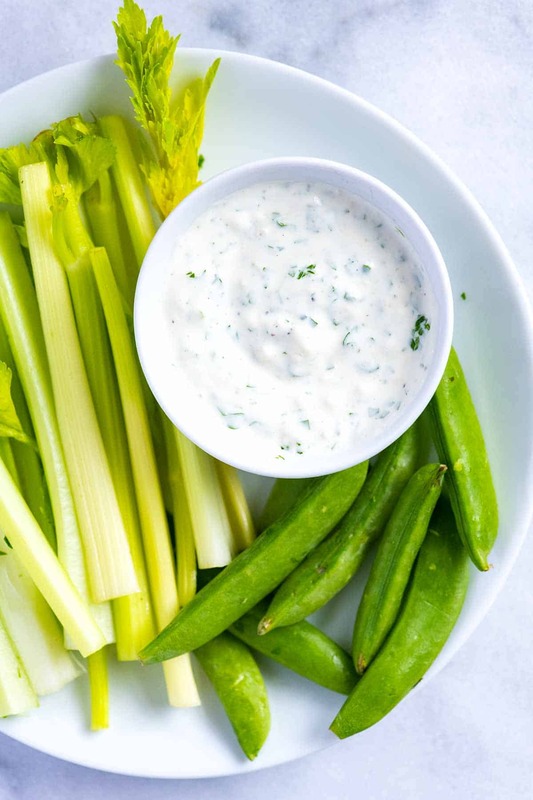 This easy homemade blue cheese dressing is extra creamy and perfect for tossing with salad or used as a dipping sauce. Depending on what you plan to use the blue cheese dressing for, you might consider adding a little milk or water. Without it, the dressing is thick, which makes it perfect for dipping. If you want it to be pourable like a salad dressing, a splash of milk or water is the key. 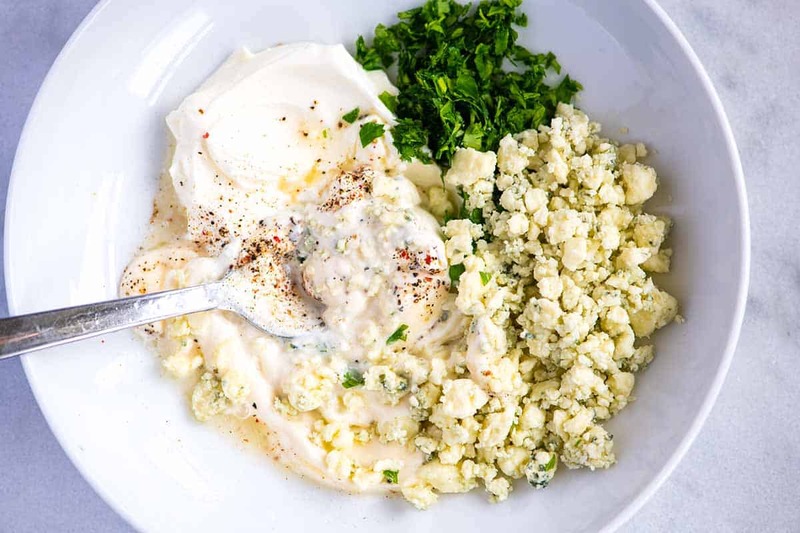 Combine the sour cream, mayonnaise, blue cheese, parsley, lemon juice, salt, and pepper in a small bowl and stir until well blended and creamy. Use the back of a spoon to press some of the blue cheese crumbles into the sauce for even more flavor. The dressing will be thick, which makes it perfect for dips. For a pourable dressing that’s perfect for salads, stir in a tablespoon or two of milk, buttermilk or water. Taste then adjust with additional lemon juice, salt, and pepper. 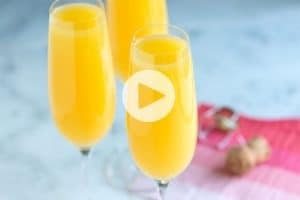 Lemon juice is optional, but if you have a lemon on hand, we recommend adding some lemon juice. It adds a lovely fresh pop of flavor to the dressing. I made this and it is so yummy. My only tweek was that I used fat free plain greek yogurt instead of sour cream (made me feel less guilty about the full fat mayo) and I added 2% fat cottage cheese. Great stuff!